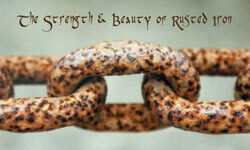 The simple beauty of rusted iron merges seamlessly in a garden and immediately looks at home there. 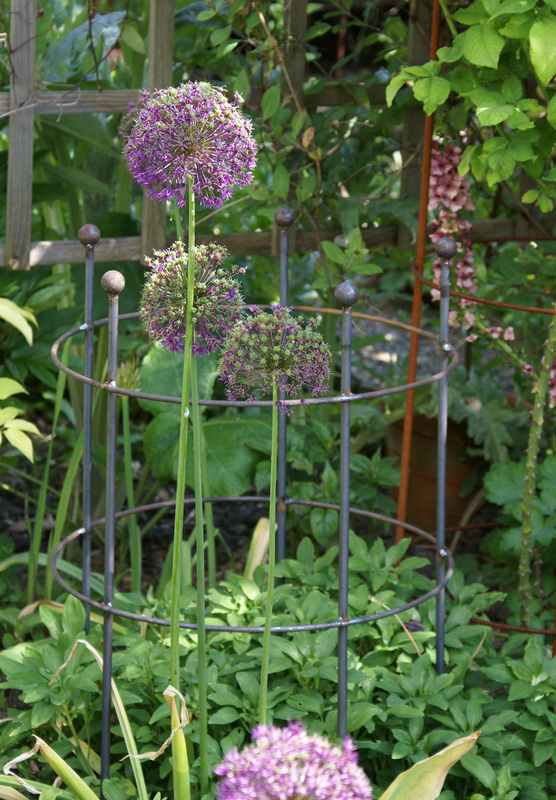 The 'Cottage Hoop' plant support, is ideal for all of those troublesome plants. 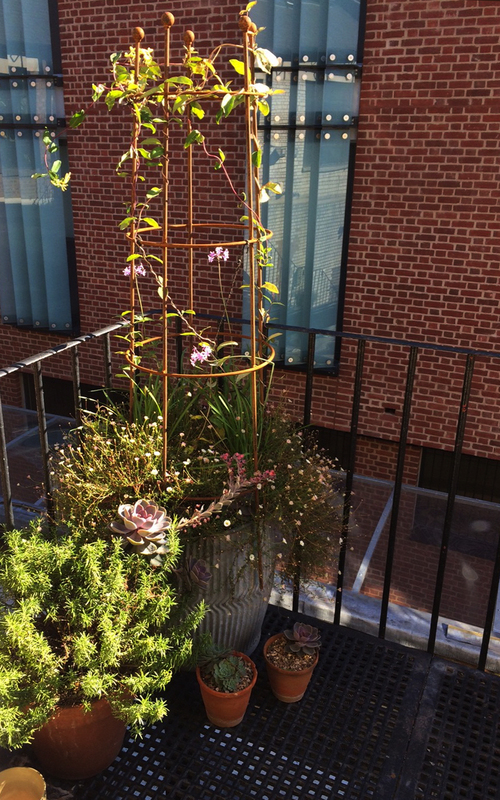 Peonies, perennial poppies and hardy geraniums are all kept under control within the confines of the hoops. Made from solid steel to ensure it lasts for detail many years. The 1.5m Cottage plant support is ideal for growing tall plants such as delphiniums through, or offering support for small climbers. 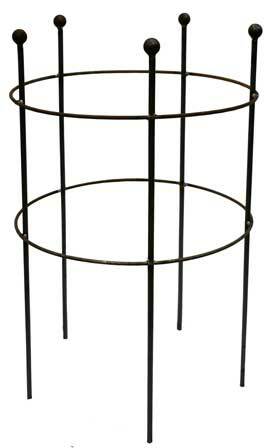 At 2m it stands over 6 Feet 6 inches, with heavy weight steel construction for added strength. 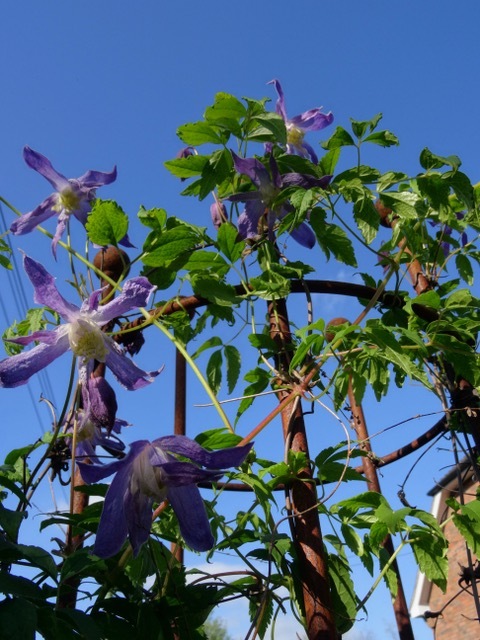 Excellent for training Clematis, climbing Roses or Sweet Peas up. A real statement piece in the border. The stakes on this support are staggered in height to add interest.